At Rice Companies, we believe in building lasting partnerships with our customers while helping them grow. In fact, as third-generation owners we continue to provide construction services to many of the same businesses that that our grandfather worked with. 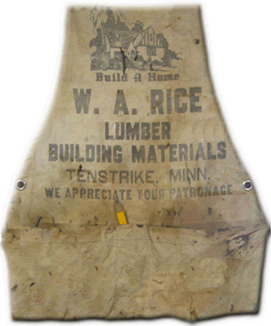 Rice was founded in 1953 and during our 66+ years in business, we’ve learned that our customers enjoy working with us not only for our excellent service and high standards, but also because of our versatility. As one of few firms in Minnesota that offer true single source construction services, we offer in-house Architectural, Construction Management, skilled field crews, Real Estate Brokerage, Maintenance and Development services. We work as a dedicated partner with each and every client. You have our promise to be here long after the job is done to ensure and maintain the integrity of our work. Perhaps that’s why many of our clients call on us again and again to expand their facilities and build new ones. Do you have an upcoming building or development project you’d like to discuss? We would be happy to sit down with you and learn more about your business. Chris Rice became a third-generation president and CEO of Rice Companies in 2008. 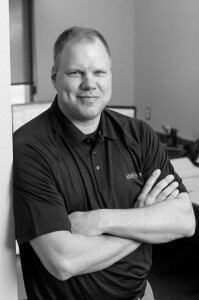 In addition to leading a team of 60+ employees, Chris cultivates relationships with new and long term clients. He holds a Bachelor of Science degree from Colorado and is a past president of the St. Cloud Builders Exchange, two term Advisory Council member for Butler Manufacturing, 5 under 40 winner, active on numerous local and national boards and peer groups, and is LEED AP certified. Today, Rice Companies encompasses architectural and Design services, General Contracting, Construction Management, Development, Real Estate Brokerage, Maintenance and other field services, operating out of our Sauk Rapids, Glencoe and Mankato offices. 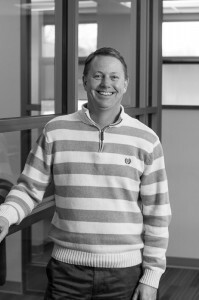 Chris Schuver joined Rice Companies in July 2014 as the CFO and boasts 13 years experience in the industry. 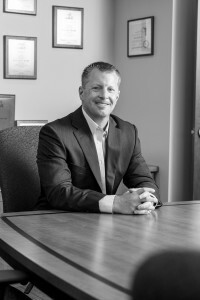 As a graduate of St. John's University, Chris previously worked as the Vice President of Business Banking with American Heritage National Bank. He also brings construction experience to Rice through numerous development projects, including procuring the financing, monthly balancing of the construction projects and distribution of funds. Chris enjoys golfing, umpiring, exercising and spending time with his family. He gives back to the community by serving on the board for the Boys & Girls Club of Central Minnesota, acting as treasurer for the Central MN Noon Optimist Club and as an active member of St. Francis of Xavier Church. Tom Bruce rejoined Rice in 2017 and draws from his 32 years of relationships in architecture, development and construction experience to bring a unique perspective to Rice’s Design/Build projects. 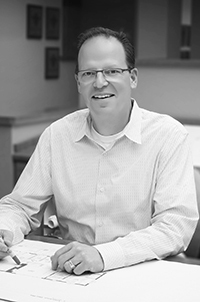 Tom graduated with degrees from NDSU and became a licensed architect in 1989. Tom lives in St. Cloud and is heavily involved in community organizations, including many facility boards, St. Cloud Diocese Building Commission, Builder’s Exchange, Catholic Charities, AIA MN Code Committee, numerous youth sports organizations as a board member and coach, Anna Marie’s Alliance, Youth for Christ, Cathedral High School Hockey Coach and an active member of the Church of St. Paul. 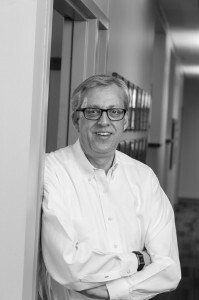 Steve Nelson has been with Rice Companies since 1997. He has more than 30 years of experience in the construction industry. He holds a degree in Business Construction Drafting and Estimating from St. Cloud Technical College. Outside of working with Rice Companies, Steve enjoys hunting, fishing and golfing. 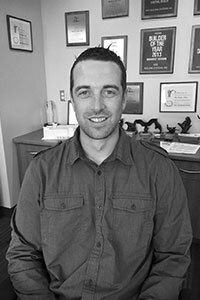 Travis and his wife Stacy enjoy spending time with their three children and their busy academic and sports activities and he is an avid outdoorsman and dog trainer. 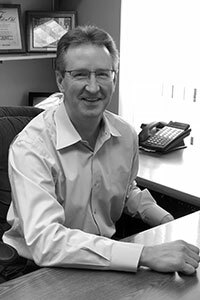 Marius Rygg joined Rice Companies in August, 2018 as Vice President - Mankato. 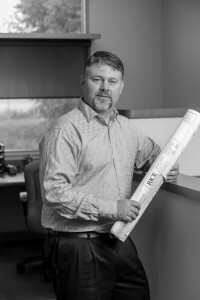 Marius is a native of Portland, ND, and is a graduate of North Dakota State College of Science with a degree in Architectural Drafting and Estimating. He has over 30 years of experience in the commercial construction industry, with the last several years managing the commercial building division and staff of a general contracting company in West Fargo, ND. He has been on several boards, was a two term Advisory Council member for Butler Manufacturing, and a 50% partner in development and ownership of a self-storage facility. Marius enjoys golfing, running, traveling, and spending time with his family. He and his wife, Lisa, reside in Mankato, MN. Jordan joined Rice Companies in 2017 as General Manager of the Glencoe office. 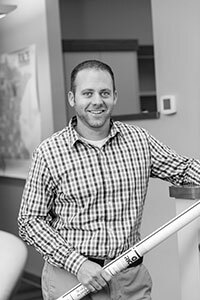 Originally from Sartell, Jordan graduated from North Dakota State University with a Construction Management degree and an MBA. He also earned an Masters in Construction Science and Management from Clemson University. 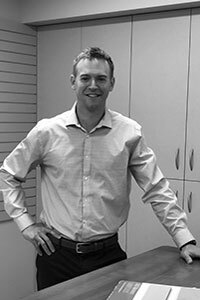 Prior to Rice Companies, Jordan worked with two regional design/ build firms as a project manager. Jordan is also active in the DBIA (Design Build Institute of America), serving as president of the local chapter. In Jordan's free time, he enjoys spending time with his wife, daughter and Grizzie, their Chesapeake Bay Retriever in Minnetonka. Don Larsen joined Rice in 2011 as Architect. 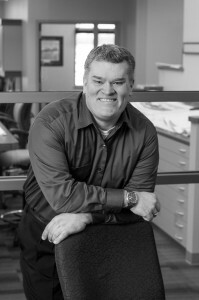 He holds a degree from North Dakota State University and has 21 years experience with many different building types, including retail, hospitality, health care, municipal and education buildings. In his spare time, Don enjoys woodworking, reading and landscaping. Don is an active member of St. Francis of Xavier church where he volunteers for various committees and outreach projects. Matt Knutson joined Rice Companies in 2017 and brings with him 12+ years of experience, most recently for a local commercial general contractor. 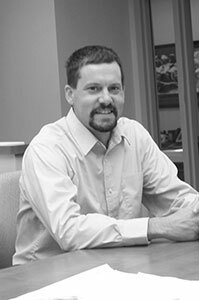 Matt graduated with a Bachelor of Science degree from Bemidji State University with an emphasis in Construction Management, and has since worked on public and private projects across a number of industries. 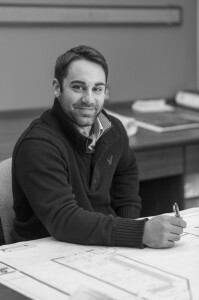 Matt’s full-time responsibility will be in budgeting, estimating and bidding projects. Matt and his wife Katie enjoy spending time with their children at different activities, is an avid outdoorsman, and is involved with St. Cloud Youth Hockey, St. Cloud Area Chamber of Commerce and Ducks Unlimited. 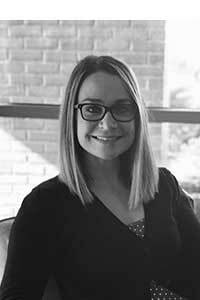 Rian Demarais joined Rice Companies in May of 2014 as project manager. 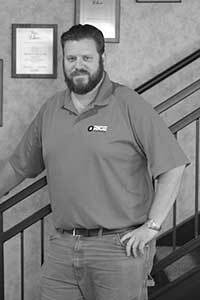 He brings 15 years of experience in the construction trades, having worked with several local firms. Rian enjoys hunting, fishing, and other outdoor activities. As a project manager, Ron brings more than six years of construction experience to Rice Companies. He earned a Bachelor’s Degree in Construction Management from North Dakota State University in 2013 and joined Rice in November 2014. When he’s not hard at work, Ron enjoys hunting, fishing and mechanics. Brian joined the Rice team in 2018 with the acquisition of Gosewisch Construction in Mankato. He brings 20+ years of experience in construction, including working in the field as a carpenter, steel erector and a superintendent. Brian also served as a specialist in a reconnaissance platoon for the Army National Guard from 1999 - 2005. In his free time, Brian is involved with the Greater Mankato Growth Young Professionals program, the Mankato Builders Exchange and Key City Bike. He enjoys motorcycling, bicycling, golfing and being outdoors. Shane Guy joined the Rice team in 2018 with the acquisition of Gosewisch Construction in Mankato. Shane attended South Dakota State University where he earned a Bachelor’s Degree in Construction Management and a minor in Business Administration in the fall of 2017. Typically after hours you can find him enjoying a variety of different hobbies, including hunting and fishing along with playing sand volleyball and tennis. Shane is also an aviation enthusiast who plans on earning his private pilot’s license in the coming years. 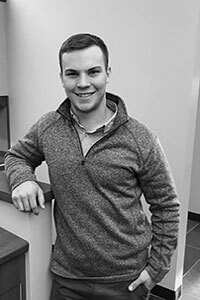 Michael Donnay joined the Rice team in Glencoe in early 2019 after graduating from MSU-Mankato with a Bachelor’s Degree in Construction Management. Michael was born and raised in Glencoe and currently resides in town. In his free time Michael enjoys hunting, fishing and volunteering with the local wrestling team. 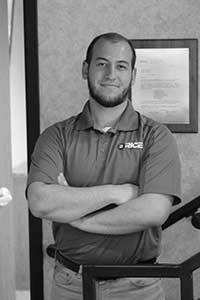 Joe Gubbels joined the Rice Companies team in February of 2013. Prior to Rice, Joe was in the National Guard with advanced training in carpentry, masonry and cross trained while in Iraq and the Philippines with local workers, materials and tools. He has over 14 years of diverse experience in the field and extensive experience as the Rice Safety director and leader of the safety committee. In Joe's free time, he enjoys spending time with his wife and three daughters working on projects at home, shooting sporting clay league and hunting. Jennifer Rice graduated from St. Cloud State University in 2002, and joined Rice Companies the same year. Jennifer utilizes her 16 years of experience by working on subcontracts, change orders, accounts payable, marketing and more. 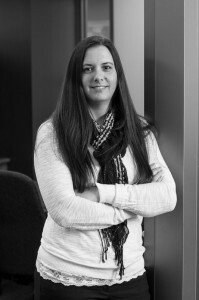 Jennifer enjoys spending time at the cabin, downhill skiing, crossfit, working out and spending time with family. Taunya Poser grew up around the construction industry, with her father and brother both being custom home builders. Before joining Rice Companies in 2008, she accumulated 16 years of professional experience as a CAD technician. Taunya graduated from St. Cloud Technical College with a degree in Architectural Construction Technology in 1998. She enjoys spending time with her two children, sewing, wood working and camping. Wes Schoenherr graduated from St. Cloud Technical College with a degree in Architectural Construction Technology and has worked as a CAD technician at Rice Companies since 2011. In his spare time, Wes enjoys spending time with family and is a self-proclaimed foodie. 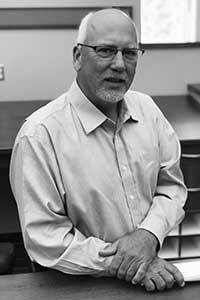 He also serves on the Architectural Construction Technology Advisory Board. Danielle came to Rice Companies in 2018 with experience working in both Architectural and Structural office environments, She graduated in 2012 with a degree in Architectural Design. In her free time, Danielle has two boys that keep here busy exploring the outdoors, and enjoys being at the lake, biking, snowboarding and ice fishing. Reece joined Rice's facility maintenance team in 2016 as the sales manager. In this role, Reece is responsible for partnering with both new and existing clients on their maintenance and operational needs and helping the Rice team provide cost effective solutions. Reece came to Rice with a background working for a Fortune 500 company in the construction/ industrial distribution industry and has experience in sales, supply chain management, account management and problem solving. Reece enjoys hunting, fishing, camping and most importantly spending time with his wife Rebekka and their two girls. 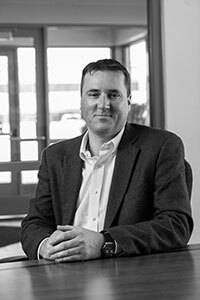 Brian came to Rice Companies in 2018 with a 20+ year background in commercial and residential sales. Brian works closely with the Rice Maintenance group on seeking new opportunities to help our customers and working to build new relationships with others. Brian enjoys spending time with his family on outdoor activities, fishing, gardening and most recently bee keeping. Geoffrey Delp has been working in a bookkeeping/accounting environment ever since graduating high school. He worked at a local bank in Salem, Oregon until his move to Minnesota in the 1990’s. 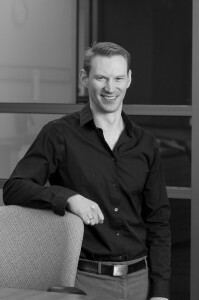 In 1995, Geoff started at Rice Companies and attained his Bachelors of Arts in Computer Information Systems from the College of St. Scholastica in 2006. Geoff enjoys gardening, walking, riding bicycle, reading, golf, and his family. He serves as Parish Council President at St. Joseph Catholic Church in Morrill. 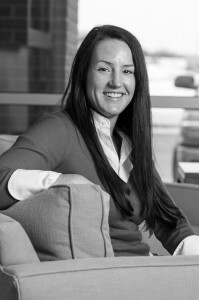 Megan Gerads graduated from Minnesota State University with a Bachelor of Arts degree in Communication Studies 2007 and started with Rice Companies in 2015 as an administrative assistant & receptionist. In her spare time, Megan enjoys softball, volleyball, hunting, fishing, farming and spending time with her family and friends. She also has been involved with the Benton County 4-H for over 20 years.